I call this site Zala Meal a Real based on an inside joke with my former Jamaican roommate. One day we were in the kitchen and she looked at all of the fresh food on my plate and exclaimed, “Zala, that meal is a real!” From then on we always would joke about my “real meals”. Clarice is now off in some distant land, but I will always remember those moments. On a serious note, real food is something that everyone should experience. 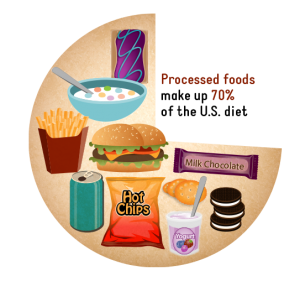 Unfortunately in the US, so many people rely on fast/overly processed foods for their nutrition. We still don’t know the full effect that a lot of these chemicals and preservatives are having on our bodies, and yet we wonder why cancer rates are so high. This blog is a means for me to spread my knowledge and impart to you the wonders of culture, cuisine, and wellness tips. I started Zala Meal a Real because I have a deep passion for helping others through health education. My parents were big proponents of learning and it really affected me in a profound way. The ways of the universe are complex and ever-expanding. If we can just live simply in accordance with nature and the benevolence of life we can all get along. Over the course of this blog I’m going to cover a lot of topics that will hopefully enlighten thoughts and expand minds. From exploring foods across the world to learning about new religions there is something for everyone to find here! If you ever want to reach out to me be sure to visit my Contact Me page and send me a message!